Since they always ask for it and it is also a necessity to learn ever more about the points I have decided to bring in this subject a new point to learn. I always research new standards to learn and also the ones I already know how to practice and I always have new ones. How amazing the variety of points and names of beautiful patterns, like a change made with the hook can change the point and have a fantastic result. I am passionate about new points because through it we can do countless different pieces. Learning a stitch is more important than learning a dress or blanket. Learning and practicing a kind of stitch gives us practicality, increases our skill with the fingers and the hook and also increases our experience in crochet. With this we can increase our knowledge and also our experience being able to make new patterns and with that raise of level in the craftsmanship. If you want to know what pattern we will learn and how to do it just keep reading, I'm sure you will love and try. This pattern can be loved by some and hated by others as well, as not everyone likes the same things but I'm sure most will love it. 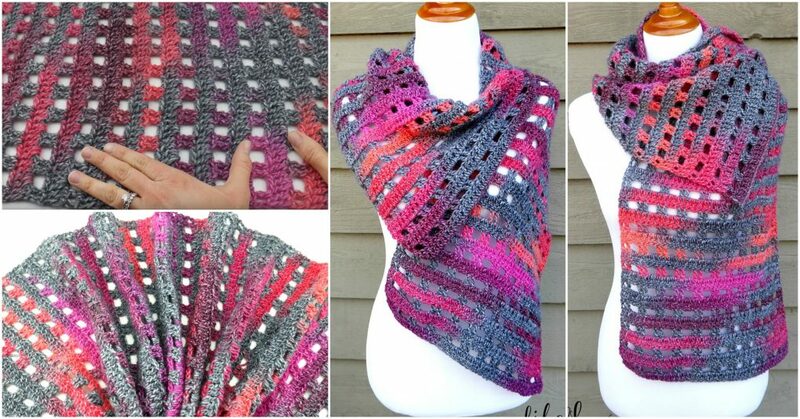 Today's pattern is called Dew drop crochet wrap, it's a very lovely scarf that can be worn on all seasons making you look more elegant. For us who love crafts and especially crochet, we love pieces like this because besides heating us, it leaves us more elegant and completely changes the look. To make this piece of crochet is very easy and also fast, just like we like to do more work. To make this point with the step by step was used basic point and a point to finish the piece. The beauty of the texture of this crochet spot is because of the wool, so it is very important when choosing your yarn, whether it is smooth, textured or even blended, choose well. Take advantage of this facility at our disposal with more elaborate crochet yarns, because with better yarn we can also get the job done faster with a lot of charm and elegance. 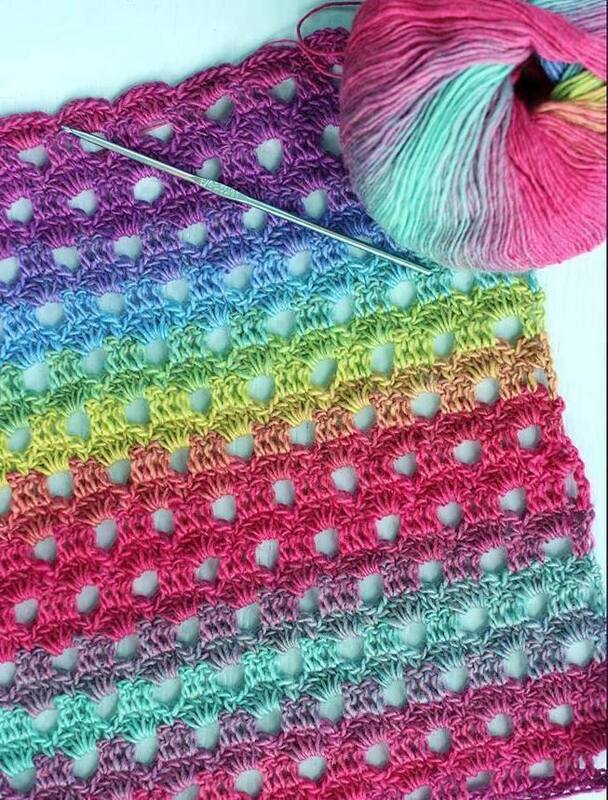 If you are prompting do not leave for later and do it right now, the crochet stitches that are made in this pattern are simple and the finish is really beautiful. You can give as a gift to someone and also make it to your store. Regarding the size, the length you can do as you prefer, as it goes from how many stitches you make, thus adjusting both the length and the width. - 2 skeins of wool of the brand Red Heart Boutique Unforgettable - Stained glass. - Crochet hook: 5.50 mm [US-I]. If you like then take advantage of the step by step that I leave below for you. In the link you find the step by step written with all the information needed to make this beautiful pattern and also after I leave a video tutorial to learn even more and get your doubts. Do not forget to enjoy our page on facebook, we always leave news and the patterns of our site. Good job.